Well. They asked. A lot. I’ll give the reporters covering the Super Bowl credit. They asked Tom Brady about his previous support of Donald Trump. It’s the epitome of white privilege. White privilege doesn’t mean that all white people have it easy. All it means, at its core, is that there are certain structural, political structures in place that give us the benefit of the doubt that minorities do not get. It’s how I can become a nervous wreck if a police officer pulls behind me, but it’s not because I’m afraid I could get shot. Lord knows I’ve benefited from white privilege, and do so every day. 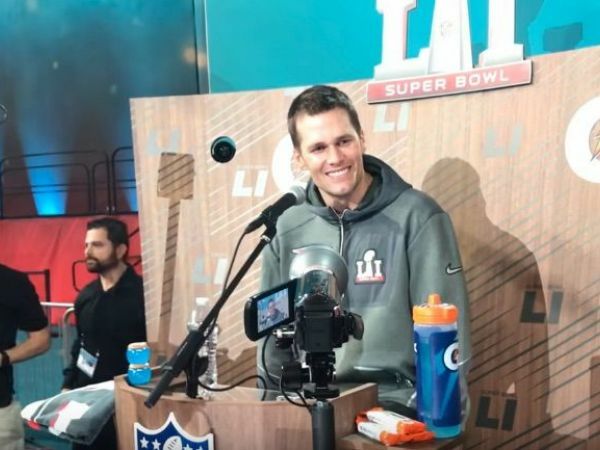 Brady’s statement — What’s going on? I haven’t paid much attention. I’m just a positive person — is the epitome of this privilege. He’s not paying attention to the world because he doesn’t have to. He's not speaking about politics because he doesn't have to. He’ll be fine no matter what. But the glib lack of acknowledgement that something is going on — at a time when more and more athletes, many of whom are black, are speaking their minds — is stark. I’m glad the reporters asked this week. We learned a lot about Brady.